AUCTION DETAILS: SN# 337945. Receiver RE marked for Remington manufacturer. The bolt is mismatched with SN# 337173. The rifle is missing the magazine follower and spring. The stock is well worn and cracked at the wrist, the action is mechanically smooth and the bore has good rifling. The rifle has intact volley sights. The Rifle, .303 Pattern 1914 (or P14) was a British service rifle of the First World War period. A bolt action weapon with an integral 5-round magazine, it was principally contract manufactured by companies in the United States. It served as a sniper rifle and as the second line and reserve issue until being declared obsolete in 1947. The Pattern 1914 Enfield was the successor to the Pattern 1913 Enfield experimental rifle and the predecessor of the U.S. Rifle M1917 Enfield. 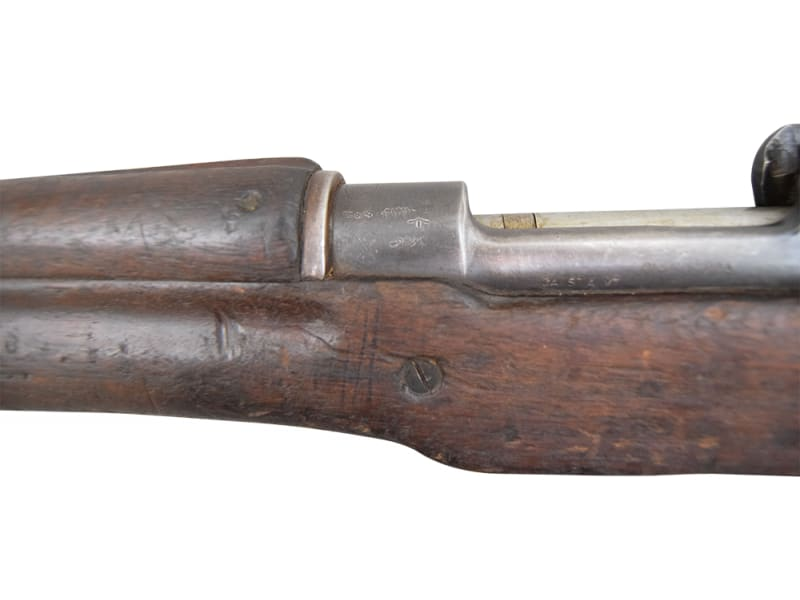 The Pattern 14s origins lay in British experimentation with Mauser type actions, and a need for more rifles to fight the Germans in the First World War. The British military would find itself lacking rifles for their rapidly expanding number of soldiers. There were not enough of the standard Lee Enfield rifles in service at the time. 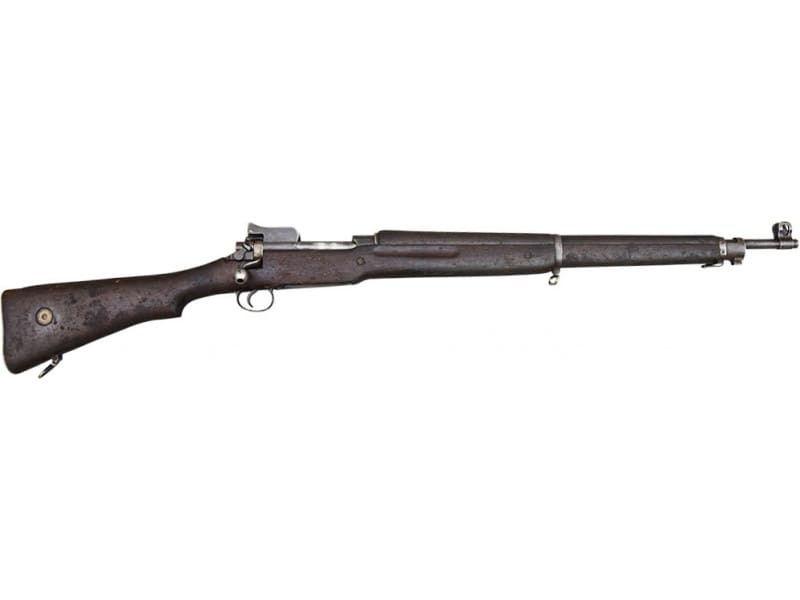 The Pattern 1914 was much easier to produce than the Lee Enfield, and three American companies would be tasked with manufacturing the rifle, to meet the demands of the war effort. The companies were Remington, Winchester, and Eddystone. 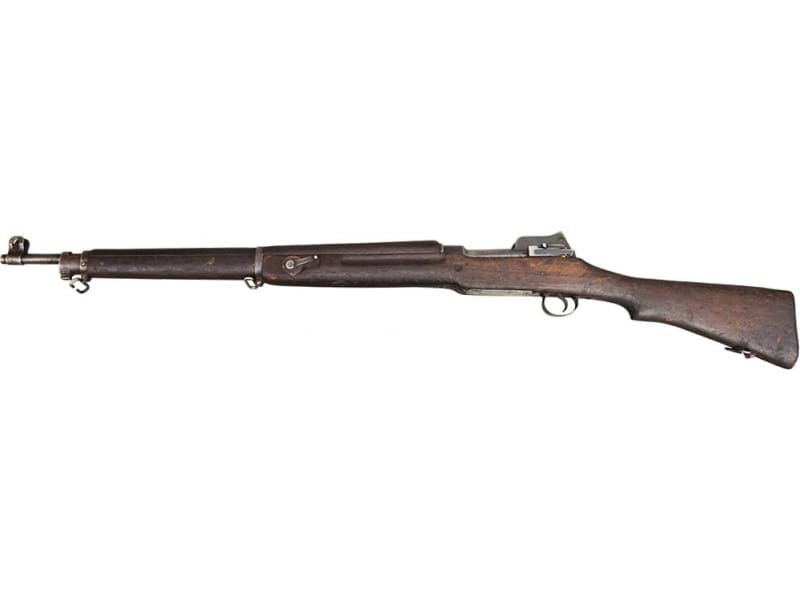 The majority of the Pattern 14 rifles would be made in the year 1916. Total production would be about 1.2 million units. The receiver on Eddystone rifles is marked ERA. 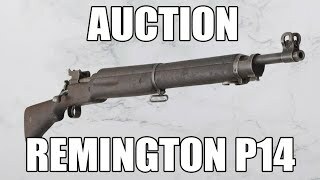 Remington rifles are marked RE, and Winchester rifles are marked WRA on the receiver. 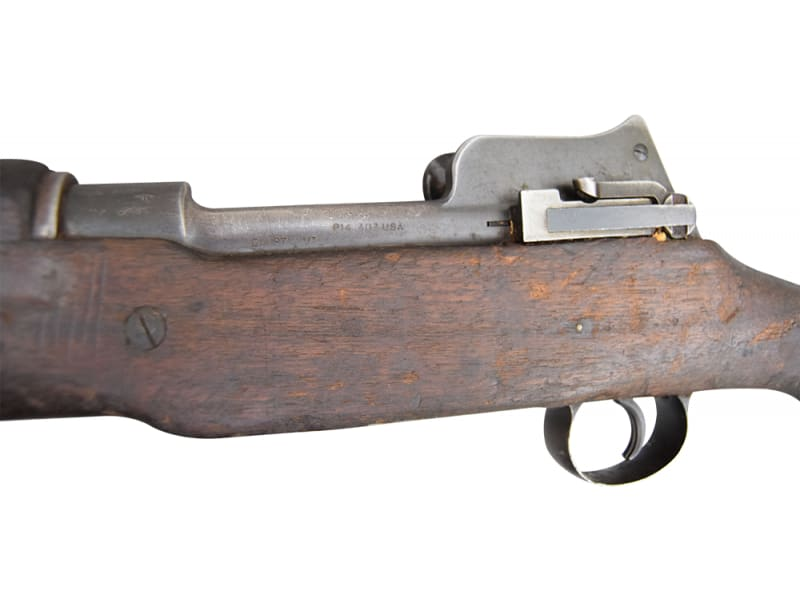 While the standard Lee Enfield rifle featured a 10 shot detachable magazine, the Pattern 14 only held 5 rounds in an integral box magazine. The Pattern 14 like many early Lee Enfields featured a volley sight on the left side of the stock. This second set of sights was intended to be used for area fire at ranges of 1500 yards or more. The sight is adjustable from 1500 to 2600 yards. Many Pattern 14s were rebuilt and had the volley sights removed. The Pattern 14 had an interesting and limited combat history in the First World War. 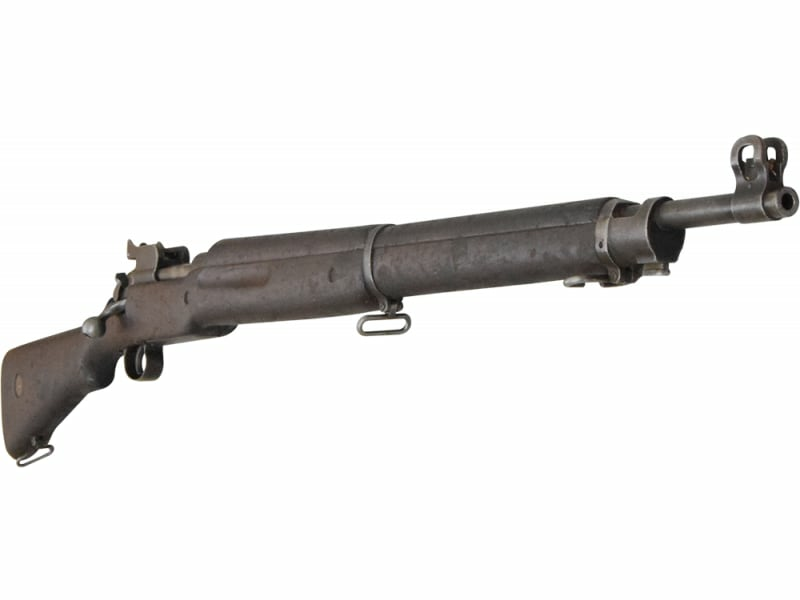 By the time Pattern 14s began arriving in Britain, Lee Enfield production was being produced in sufficient quantities to arm the Commonwealth forces in Europe. Many were used in reserve units and to train new recruits. The Winchester sniper rifles were used starting in 1917 due to their superior accuracy over the Lee Enfield MKIII.